Did you hear a terrible plop? A deep, dark forest is home to lots of ‘scary’ things but none so frightening as ‘the terrible plop’. The Terrible Plop by Australian author Ursula Dubosarsky is based on a Tibetan myth and shows that sometimes things aren’t really as scary as they seem. Dubosarsky tells the story of what happens when the woodland animals hear a terrible plop. What could it be? The animals run away in fear and it is a big brown bear who is resting in the sun (complete with an icy cold, paper-umbrella adorned drink) that stops them and demands to know what the fuss is about. A brave little rabbit takes the bear to where he thinks the ‘plop’ lives. But when the rabbit and the bear come face to face with their fear, only one of them turns to flee. The illustrations by Andrew Joyner are fantastic – bright, edgy and with a cartoon-like quality. Whilst the combination of woodland animals is somewhat fanciful – monkeys alongside foxes and rabbits with elephants – each creature is charming, including the decidedly grouchy looking bear. 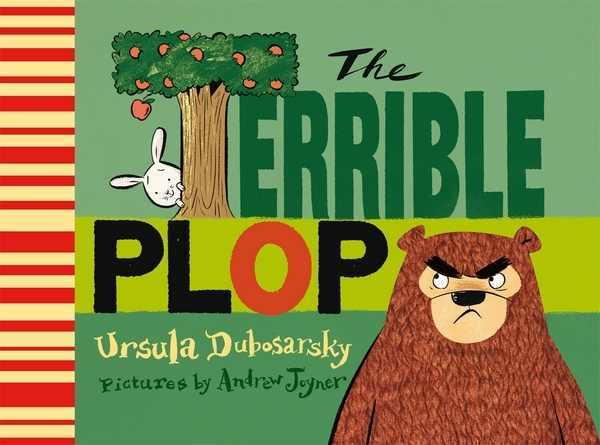 The Terrible Plop is suitable for children aged two to five years and is available from Fishpond for $9.95.